You Want Cool???? This is it. The first green dot I picked was in Castaic , CA. Classic rock. So Nice. The green dots on this Google Earth represent a radio station anywhere in the world. Click on any one of the dots and you will immediately listen to that station with very good sound. I especially liked Dublin, halfway up Ireland's east coast, with Irish pub music. Any of you who are multi-lingual will certainly enjoy this. 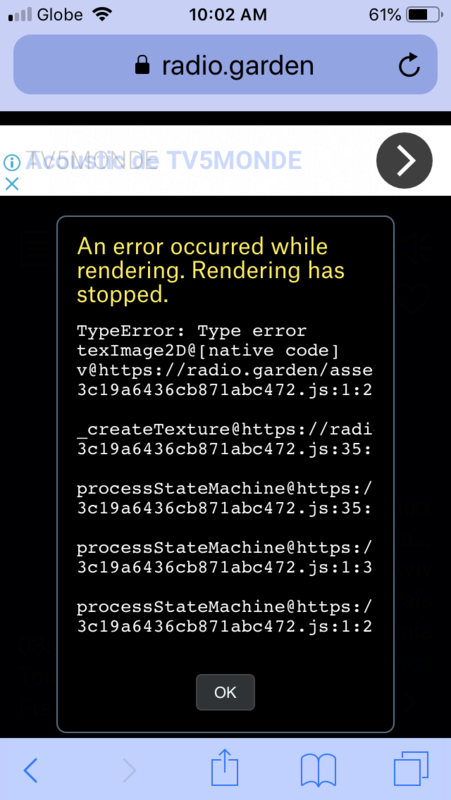 Getting an error on my iPhone using safari, I will check the laptop later, thx for the link. Yeah, I'm not able to find a let of the stations I used to listen to.